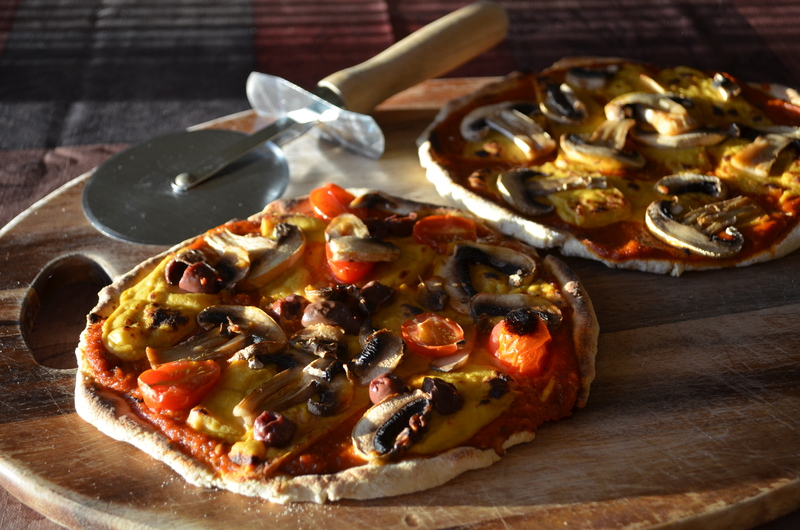 This recipe makes a soft workable dough, and the resultant tortilla is soft and pliant, with a mild taste (not very unlike wheat flour), but not bland (like rice flour). I actually made a variety of mixes before deciding to stick with this one. One of them used amaranth flour in place of all the flours (amaranth, cornflour, tapioca starch) to see if a more simple recipe could be used. The resultant tortillas were fine in their own right, but my husband (who tries to keep me anchored in what constitutes ‘real’ food) pointed out they were too highly flavored to be tortillas. If you decide that you have cause to use tortillas with a nutty hint (and improved nutritional value!!! ), then do try these with just amaranth flour. To shape tortillas, you can either use a tortilla press, or roll them out by hand. In either case, roll a small egg sized amount of dough in your hands to make a smooth, flattened ball, first. If you roll the tortilla by hand, make sure that you either use plenty of additional gluten free flour to dust the work surface and rolling pin to avoid sticking, or roll the dough ball between the two sides of a freezer bag that has been slit down the sides. If you use a tortilla press, you need to use a slit freezer bag or a folded piece of parchment paper, and because the mixture contains baking powder (unlike corn tortillas), the tortillas will cook up too thick unless you press them with 2 – 4 layers of cardboard (from a cereal package or similar) inside the press, too. Once pressed, peel one side of the bag off the tortilla, then flip it on to your hand, and peel the other side of the bag off before placing the tortilla on the hot griddle. Note that the tortilla’s taste mellows after it has had a few minutes to sit after coming off the griddle. I store mine on a plate between two pieces of kitchen paper to keep them pliant, while I finish cooking all the tortillas. In a mixing bowl, combine all the dry ingredients and then rub in the margarine (either by hand or using a pastry wire). Add the water and stir with a knife, before gathering up with your hands and kneading the dough for a minute to bring it together and develop the xanthan gum. 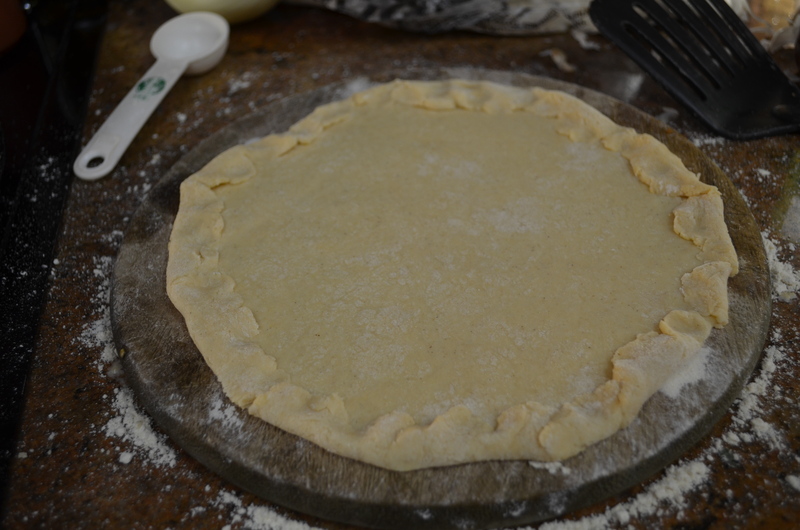 Divide the dough into 8 – 10 equal sized pieces, and form into balls. Using a rolling pin or a tortilla press, form the tortillas (see above for directions) which should be about 6-8″ in diameter, and 1/8″ thick. Pre-heat an un-greased cast iron griddle or shallow, heavy based frying pan over medium heat. Cook a tortilla on the griddle until brown spots start to appear on the bottom. Flip and cook until the second side also has brown spots. (1-3 minutes each side). Repeat with all the balls, storing them between 2 sheets of kitchen paper (to keep them moist) until you are done.